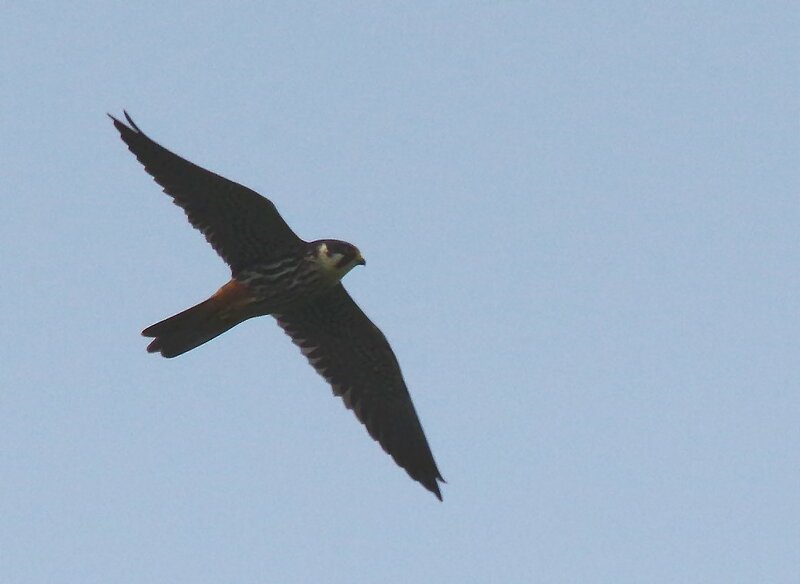 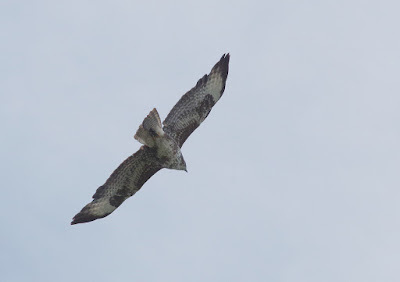 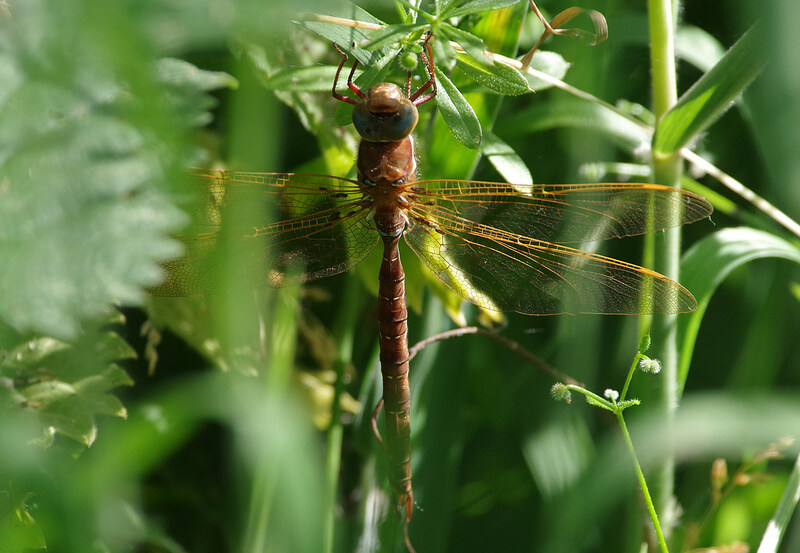 As mentioned earlier, there were at least five - possibly more - of these delightful creatures around a lure at the Church today. It was excellent to be able to show them to the various conservation volunteers: for many it was a totally new experience. 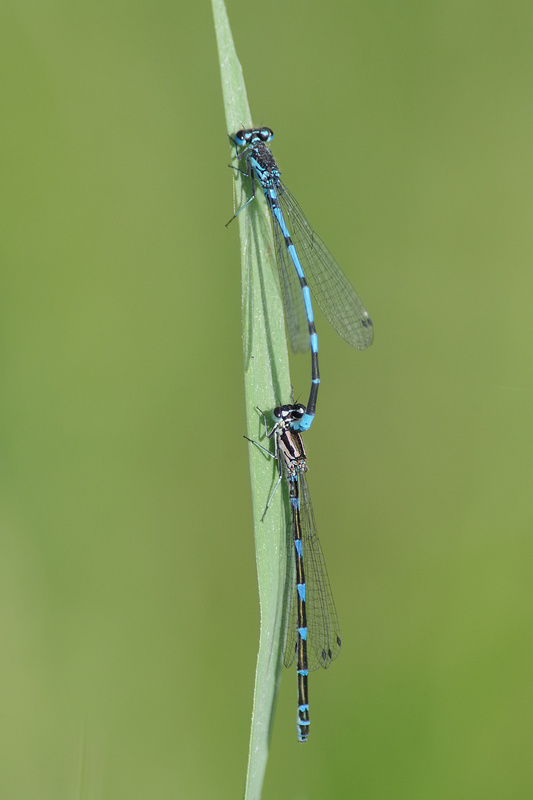 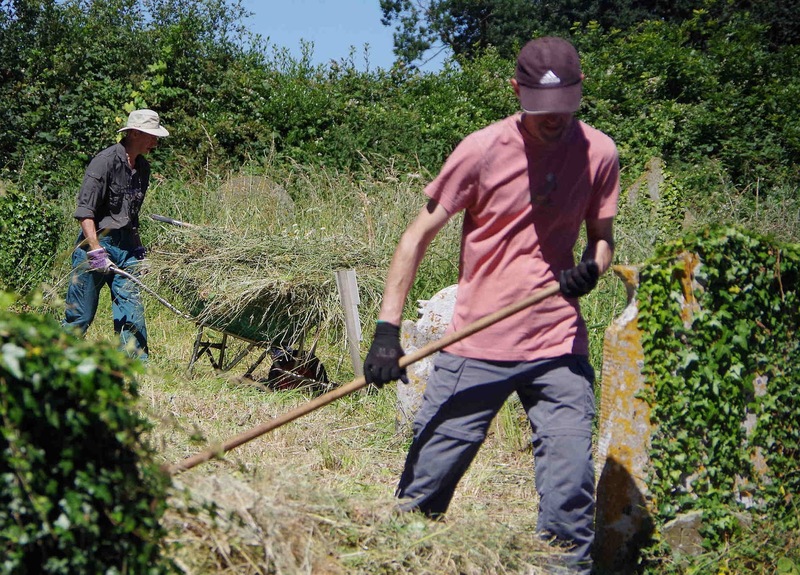 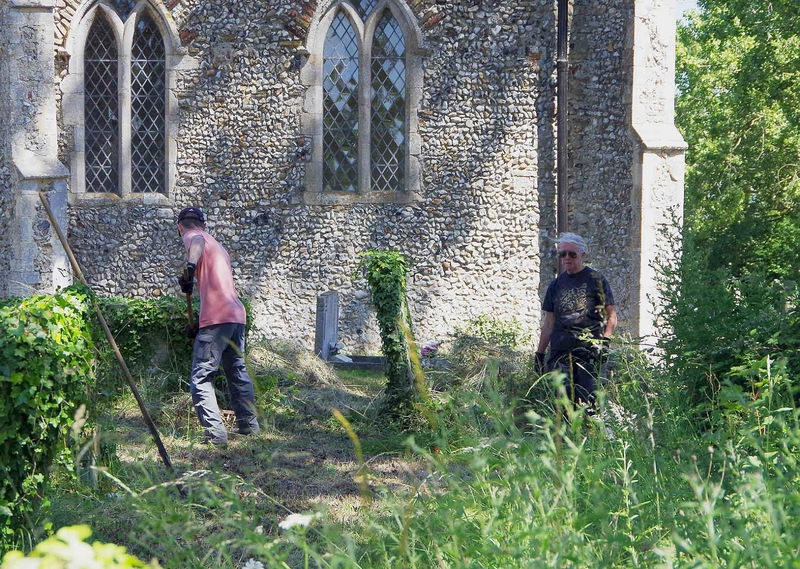 The acronym 'BADCOG' stands for Blofield and District Conservation Group: along with the wonderful Bure Valley Conservation Group and the Friends of Hemblington Church, the area surrounding the ancient flint building is managed by volunteers from all three. 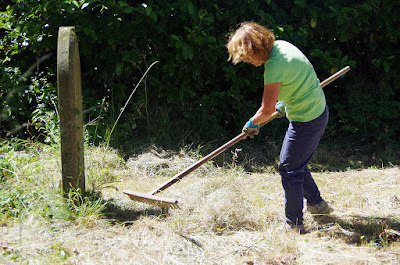 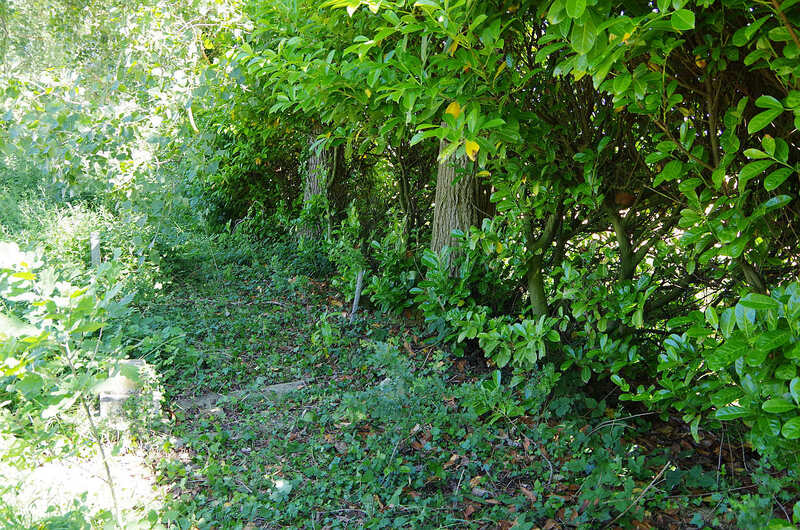 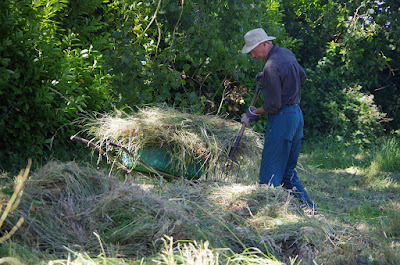 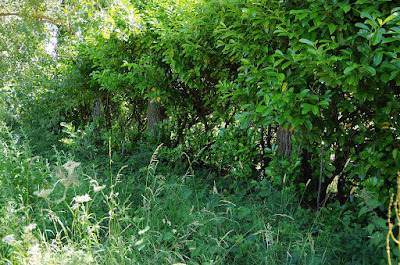 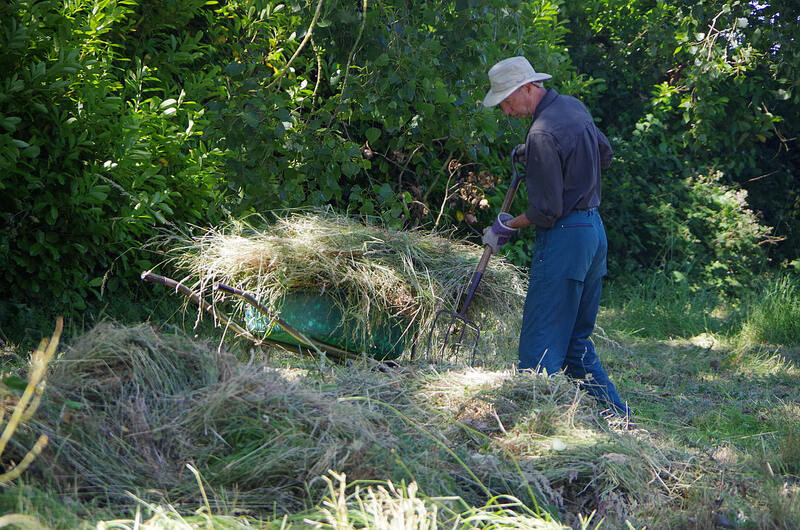 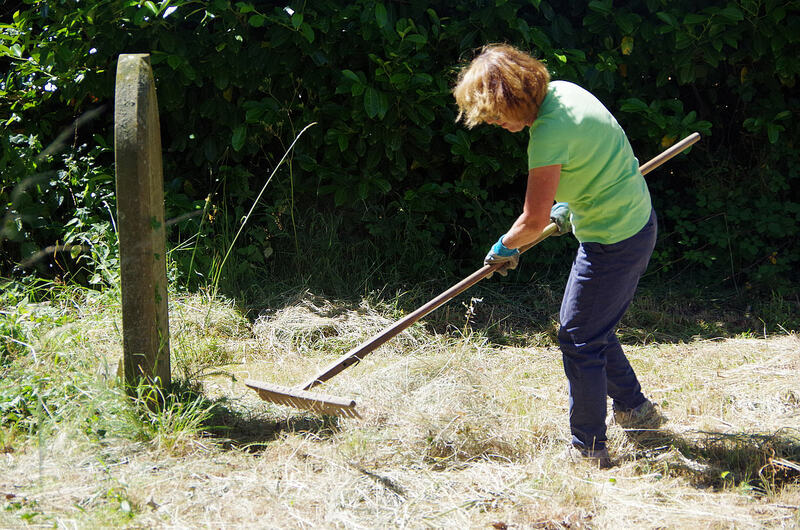 While the mown grass in the northern conservation area was being raked and removed, Linda and I cleared away the brambles and nettles along the eastern boundary. This is where 'our' Poplars stand, so while we were working, I hung a Hornet Clearwing lure in the lower branches of one of the trees. 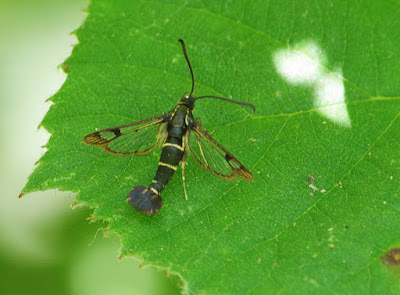 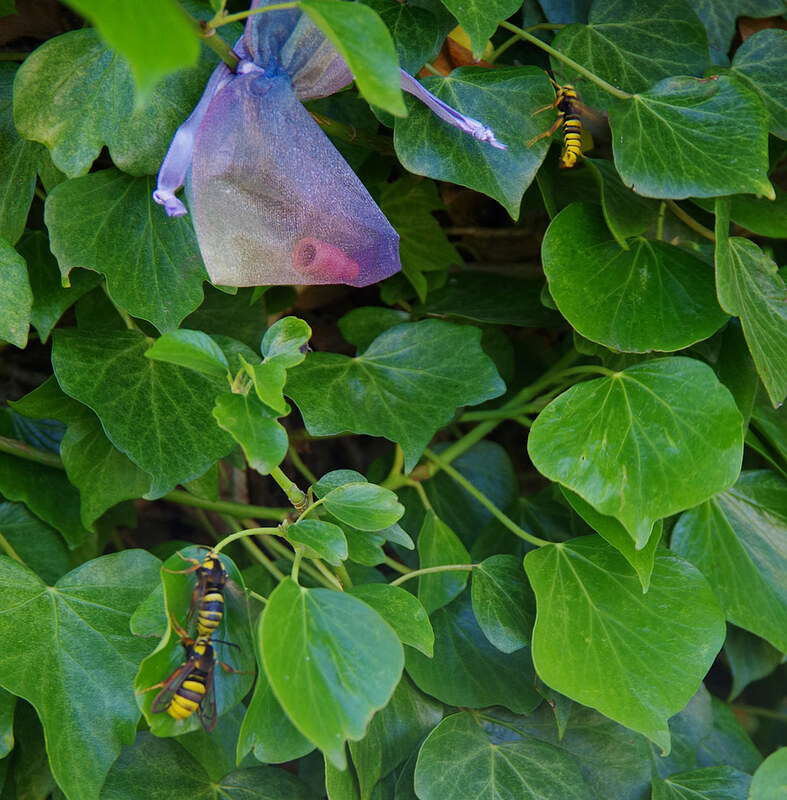 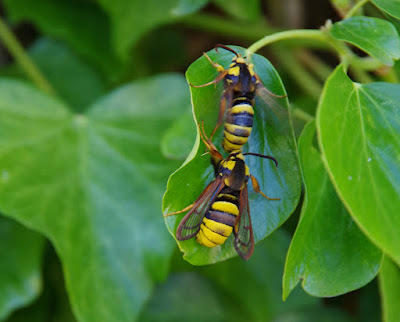 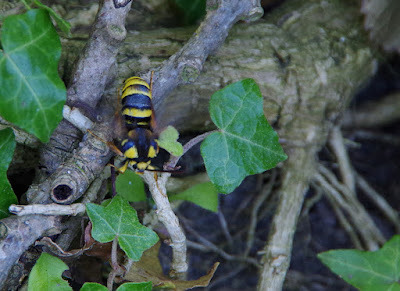 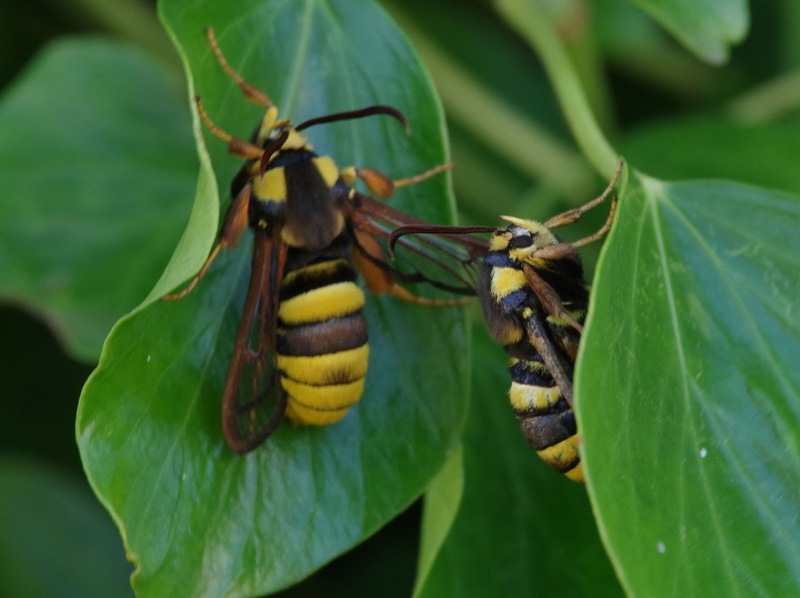 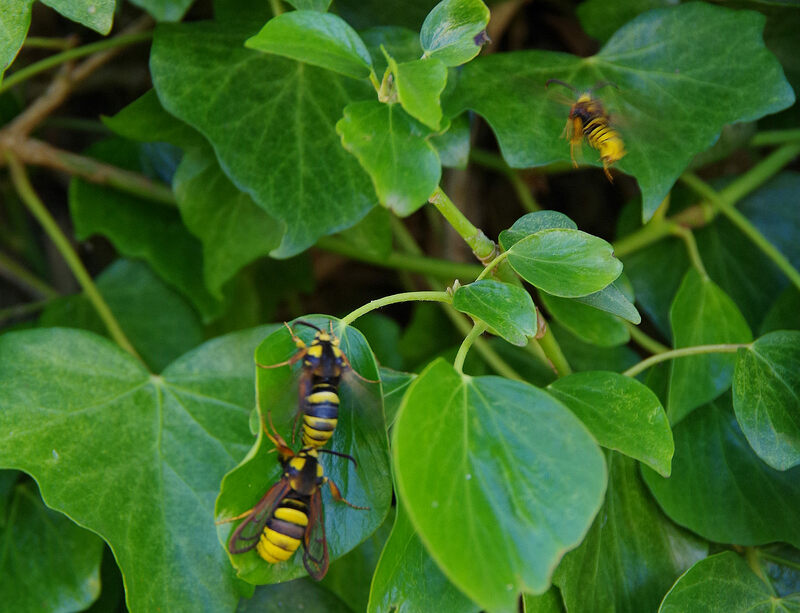 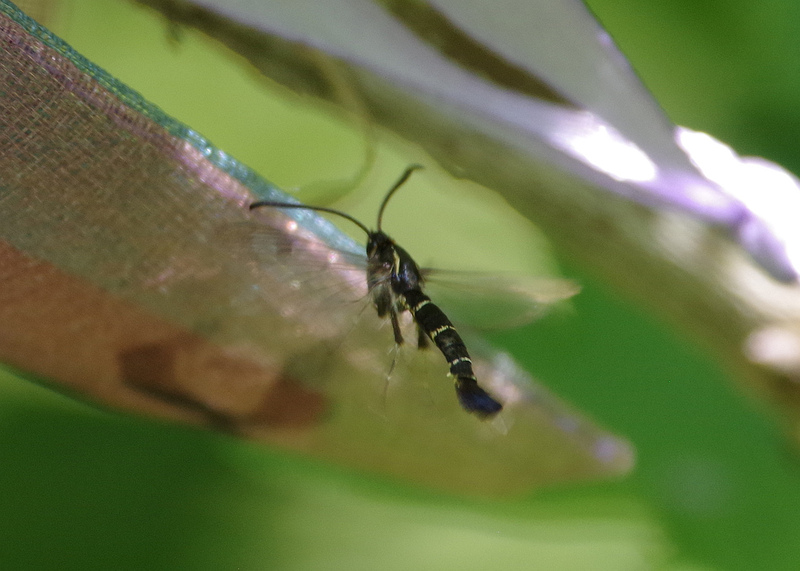 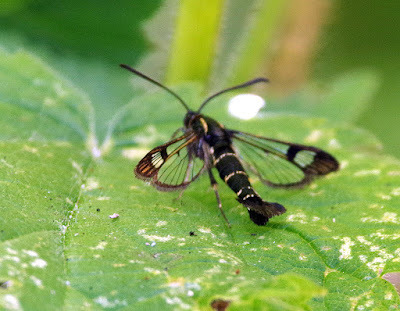 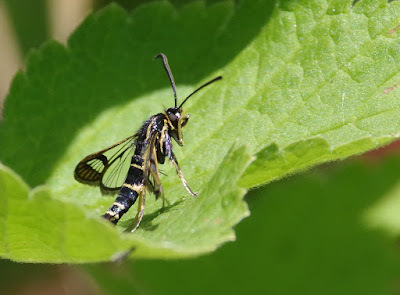 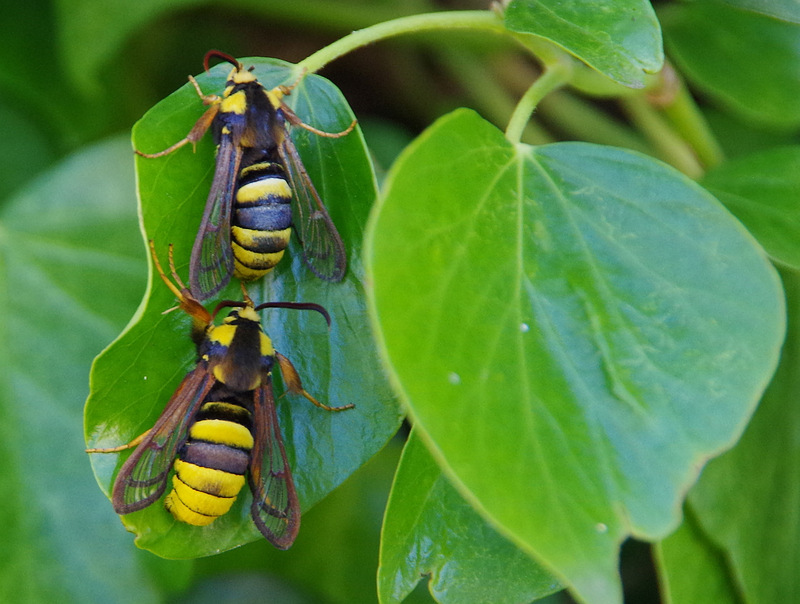 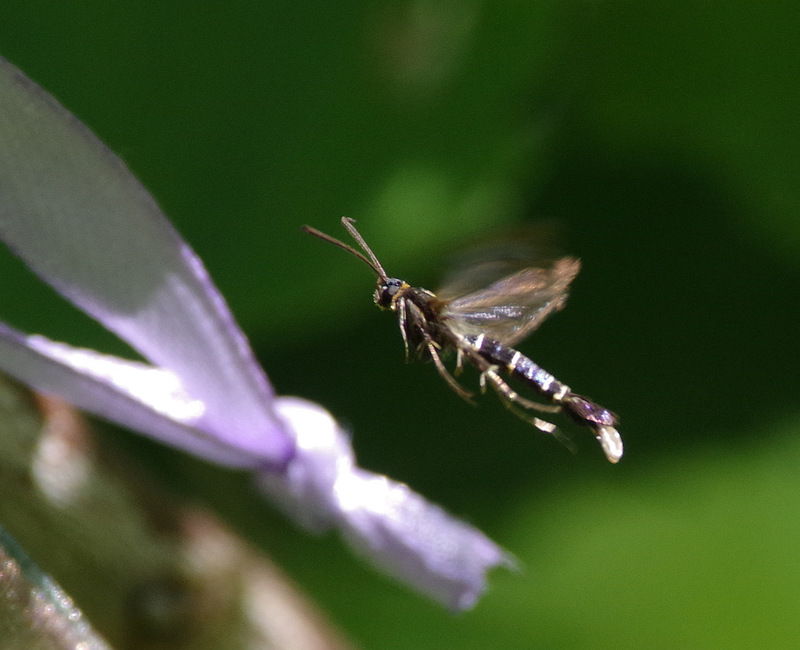 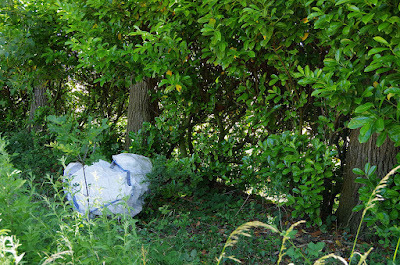 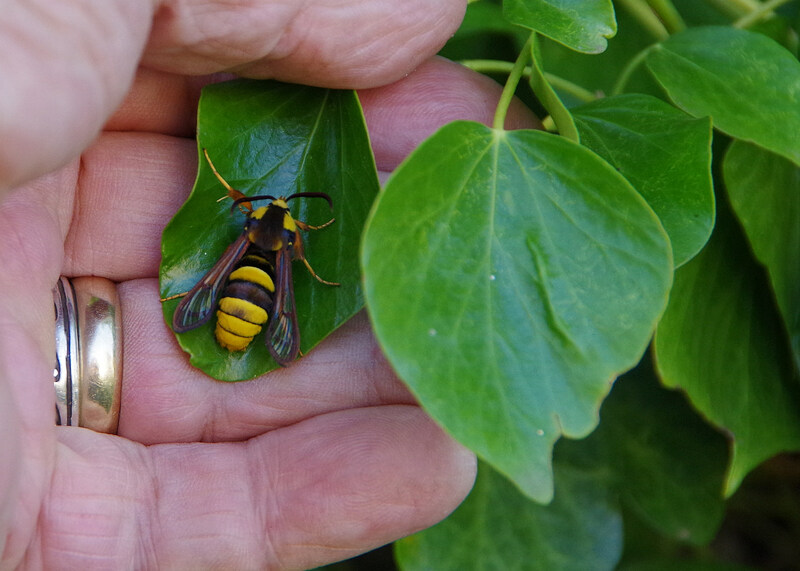 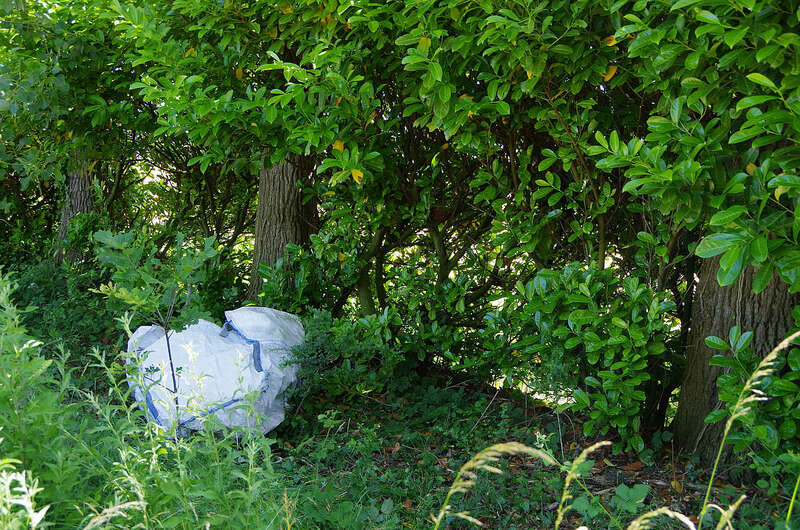 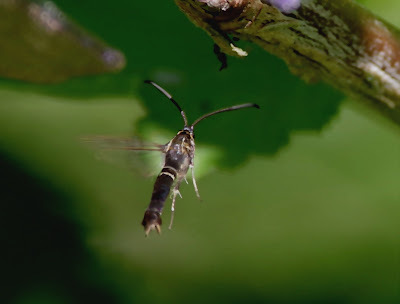 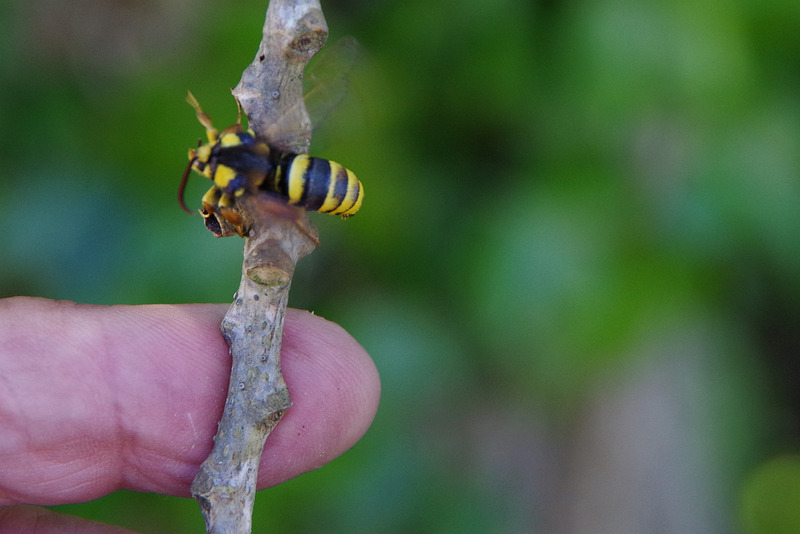 Within a few minutes at least five Hornet Clearwing Moths were loafing around: one (presumably newly-emerged) was on the ground at the base of the tree, so I gave it a lift up with a twig! 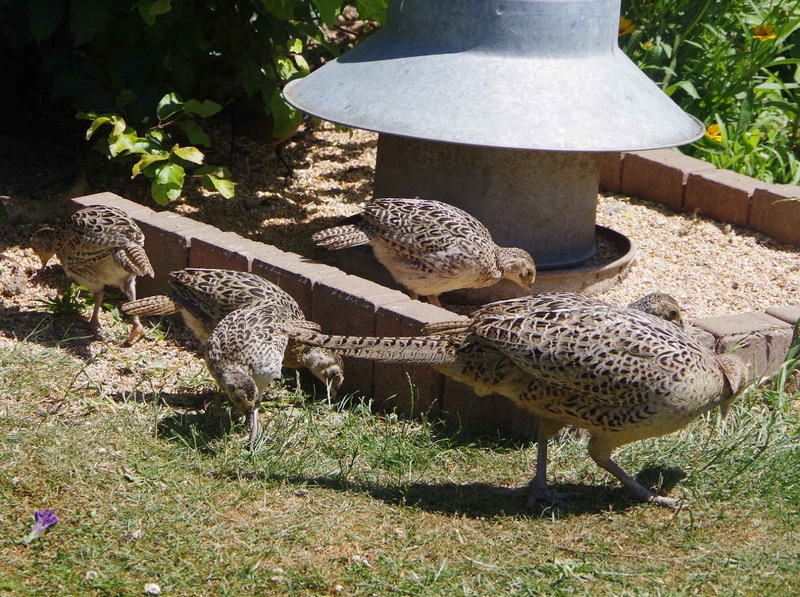 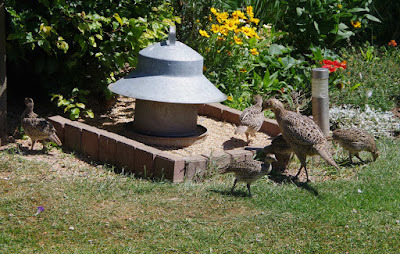 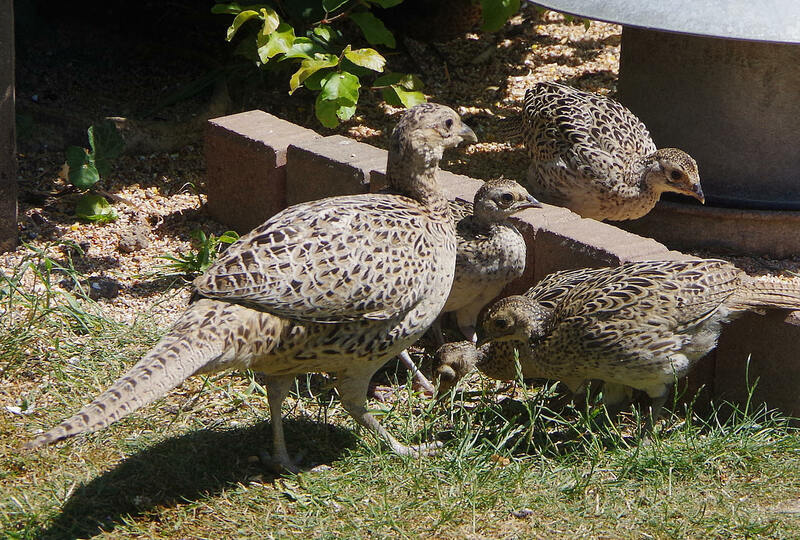 Family visit: but watch out: there's a Hobby about! 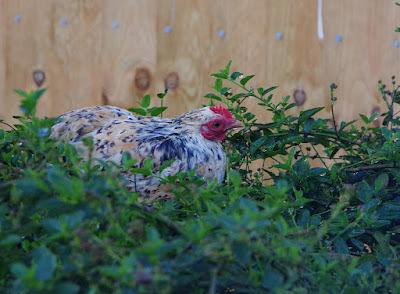 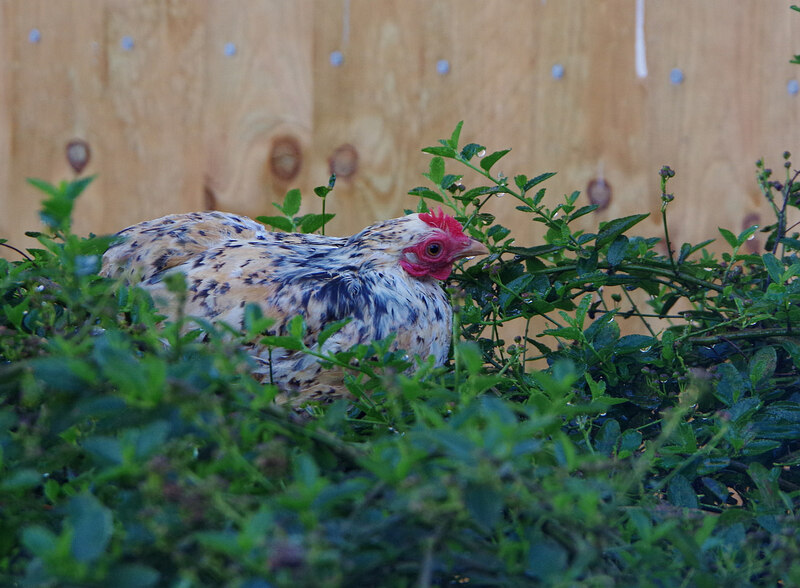 The pretty little bantam seems to have adopted us: it has taken to roosting on top of a ceanothus bush every night! 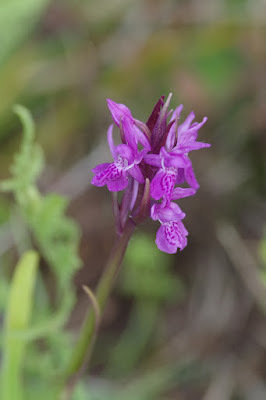 Linda was keen to see the various 'special' orchids at Upton Fen, so we made a reasonably early start (following a long day for Lin at the Norfolk Show with Sue!) 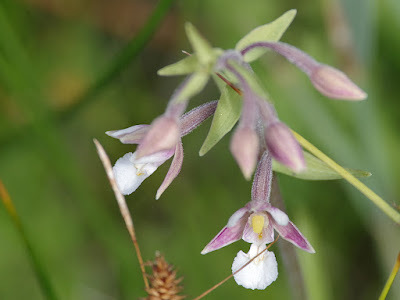 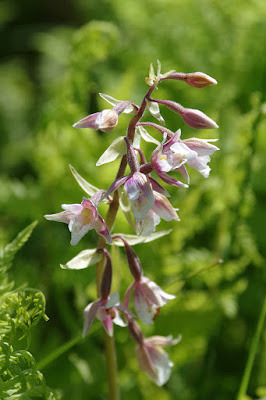 and were enjoying the Fen Orchids and Marsh Helleborines before 10.00am. 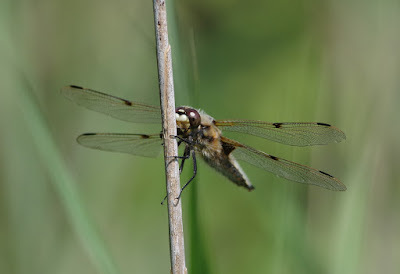 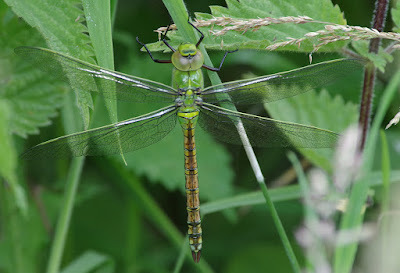 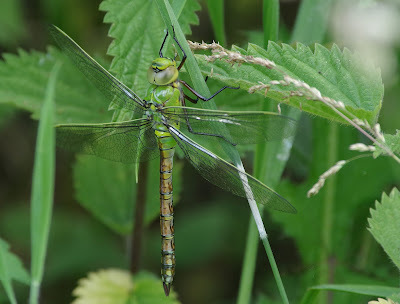 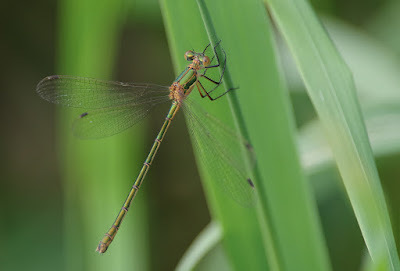 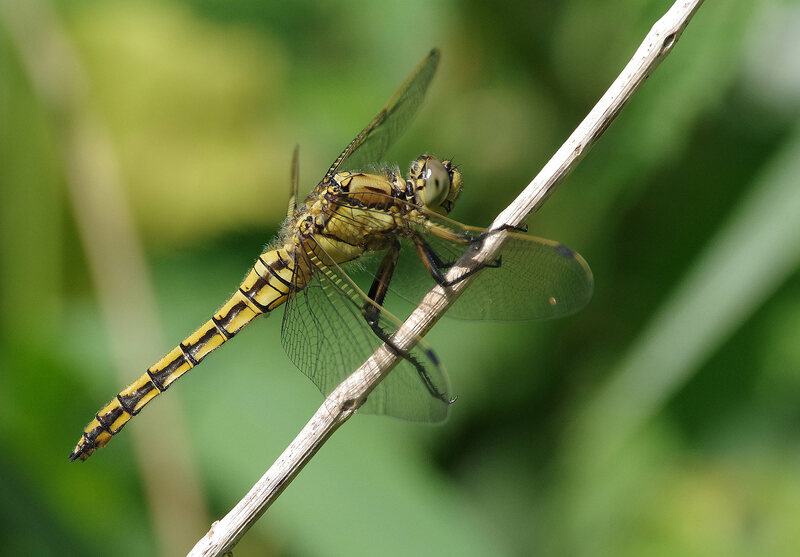 Lots more butterflies and dragonflies on the wing today, including mint-fresh Brown Hawker and Broad-bodied Chaser. 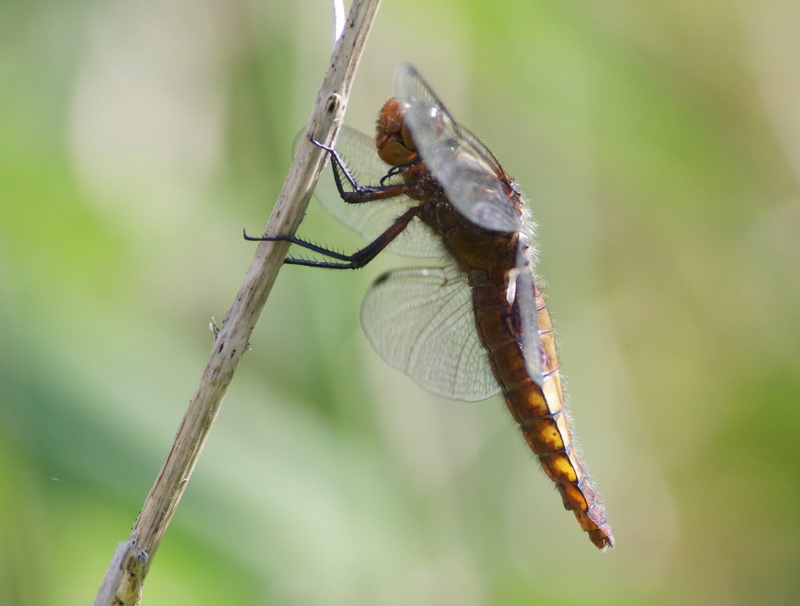 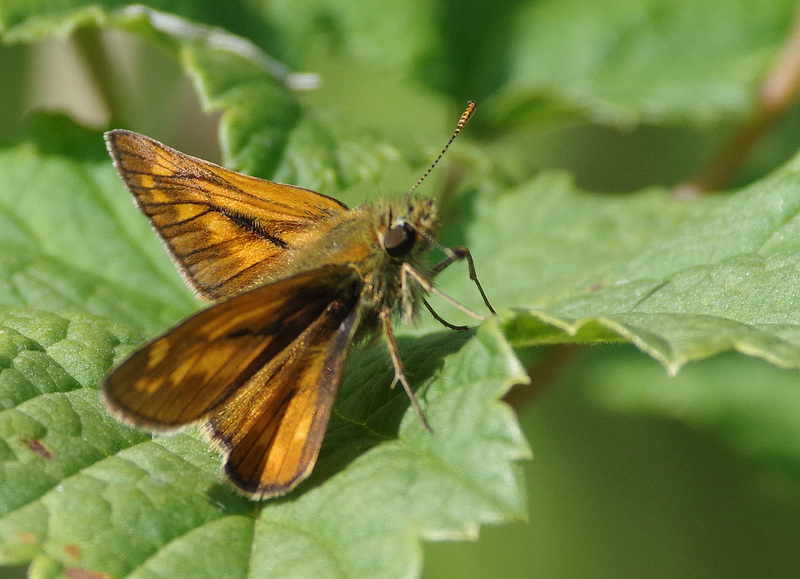 The first Common and Ruddy Darters were everywhere, as were both large and small Skippers. 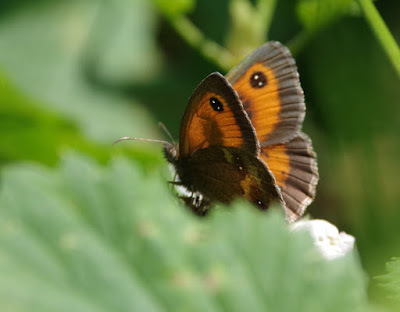 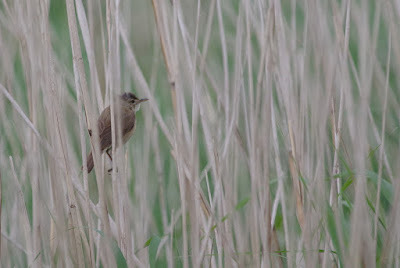 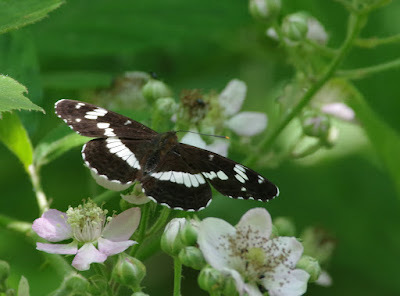 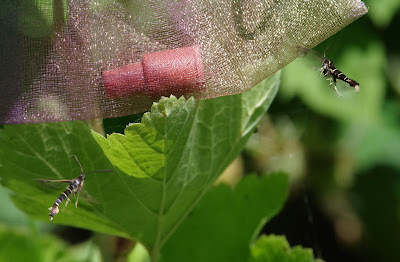 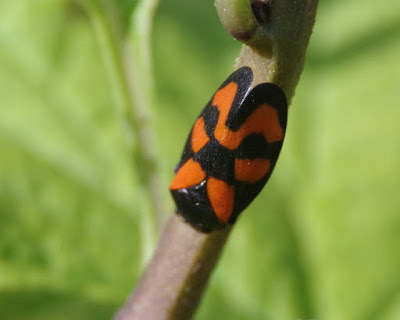 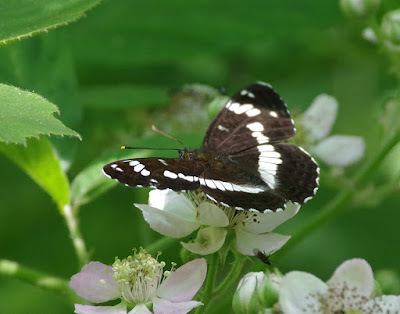 I gave my lures a half-hour stint at a patch od red currants, but got no custom! 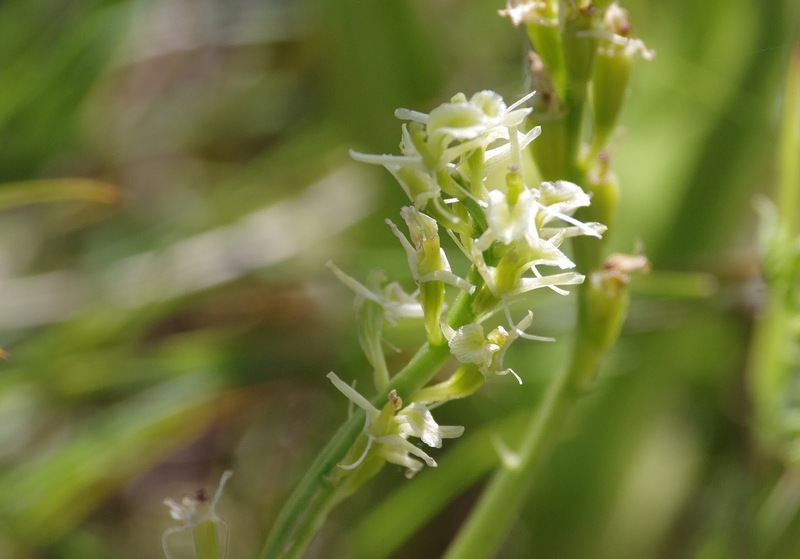 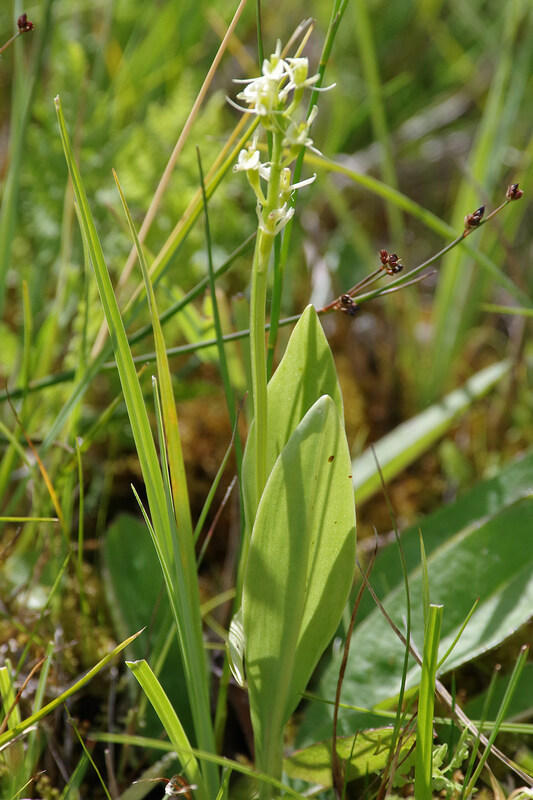 Fen Orchids, Pugsley's and Marsh Helleborines: some good odonata too!